It was 10 minutes to 6 Thursday night and I was feeling the adrenaline coursing through my veins as the Walmart associates ripped the cellophane off the cardboard DVD displays. I turned to my 17-year-old sister, Allison, who was about to begin her first Black Friday shopping experience. “Now, I want you to know: if you fall, I’m not stopping for you,” I said. “What? Ashley, why would you do that?” she said. “I just want you to know. This is the Hunger Games, and I can’t be held up,” I answered. It may seem dramatic, but in my 13 years of Black Friday shopping, one thing I’ve learned is that you can’t slow down for stragglers. Bargain hunting is a fine skill, one I look forward to honing every year following my Thanksgiving meal. Back when my mother and I started our yearly Black Friday shopping session, the deals began at 6 a.m. Friday and involved you huddled outside a store in the cold, waiting for someone to unlock the store doors. The deals were worth the potential hypothermia, especially when considering that it was the only way to afford that new Game Boy Advance that Allison, then 5 or 6, wanted. Plus, my mom and I enjoyed the time together, chatting and enjoying not being at work and school. This year, the deals started earlier than ever — Walmart’s first “event” was at 6 p.m. Thursday — and mostly you just stand in line in the store, thanks to 24hour retail cycles. Last night, My mother, her friend, my boyfriend and I were one of the thousands of shoppers to head out to Wal-Mart for the beginning of “Black Friday,” which began at 8 p.m. on Thursday. 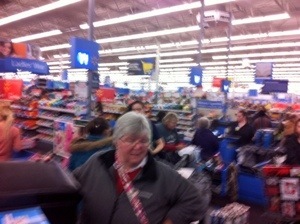 We headed to the Wal-Mart in Buckhorn, lists in hand. It was actually pretty enjoyable. We got our items and were able to have a good time, without much pushing and shoving. 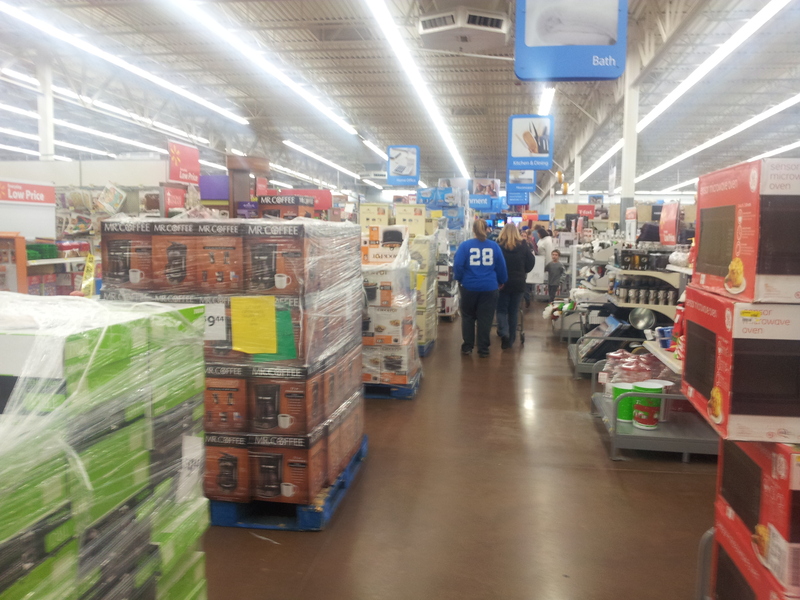 Here what a typical Black Friday Wal-Mart looks like: pallets of goods everywhere, all wrapped up until it’s time to open them. The key is to find your pallet and stick to it like glue until the appointed hour.